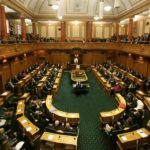 New Zealand is likely to come under pressure to extend the monopoly times for a new group of potentially life-saving specialty medicines under the Trans Pacific Partnership Agreement (TPPA), say the Association of Salaried Medical Specialists (ASMS) and the Council of Trade Unions (CTU). 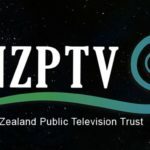 “At the moment the big drug companies can virtually name their price for some of these specialty medicines and there’s a risk that the TPPA will extend their stranglehold on these drugs by another three years, to eight years in total,” says Ian Powell, Executive Director of the ASMS. Dr Bill Rosenberg, CTU Economist and Director of Policy, says documents released under the Official Information Act and provided to him do not support the Government’s claims that the TPPA will not extend monopoly times for this special class of medicines known as biologics. “These papers show that New Zealand’s authorities can approve new drugs in a much shorter time than three years – one to two years, and sometimes well under a year,” he says. Copies of the OIA papers are available at http://www.asms.org.nz/news/asms-news/2016/03/15/longer-wait-higher-prices-likely-life-saving-medicines-tppa/. Biologics are made with living organisms instead of using chemical processes. They are promising but they are also very expensive. One example of a biologic medicine is Keytruda, which is used to treat melanoma and has been the subject of debate recently over whether the New Zealand Government – via its central medicine-buying agency, PHARMAC – should fund it. Auckland Clinical Microbiologist Dr Joshua Freeman says the consequences of extending the monopoly times on these medicines could be disastrous for New Zealanders. “It could mean that doctors, nurses and other health professionals won’t be able to treat their patients with the most effective medicines available,” he says. 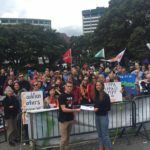 Ian Powell and Bill Rosenberg are calling on the Government to resist any pressure from the US on this issue, and an independent assessment of the TPPA’s impact on health in New Zealand is still needed. A background paper looking at the issue in more detail is available at http://www.asms.org.nz/news/asms-news/2016/03/15/longer-wait-higher-prices-likely-life-saving-medicines-tppa/.